China’s current financial and monetary policies build on a foundation of extraordinarily rapid and successful reforms undertaken in the 1990s. Until the early 1990s the central government could not effectively control the national money supply; inflation oscillated wildly and at one point ran above 20%. China’s banks were in transition from serving as socialist ATM machines for the government to real banks making real loans and taking real risks. During that transition, their competence and the system’s ability to manage a tsunami of bad loans were in serious doubt. But by the end of that decade the People’s Bank of China had effective control of the money supply and inflation was firmly confined to (mostly low) single digits. The government had started the process of saving the banks by reforming their customers (the state-owned enterprises or SOEs), then recapitalized the banks, shifted their bad loans to asset-management companies, trained the staffs in market methods, brought in foreign strategic partners, and listed the banks on foreign and domestic stock exchanges. William H. Overholt is a senior research fellow at Harvard University’s Kennedy School of Government (Ash Center for Democratic Governance and Innovation). Previously, Dr. Overholt was the director of the Center for Asia Pacific Policy at the RAND Corporation. He spent 21 years heading investment bank research teams, mostly in Asia, serving as the managing director and head of research at Bankers Trust in Hong Kong and as the head of Asia Strategy and Economics at Nomura’s regional headquarters in Hong Kong. He also spent eight years at the Hudson Institute, where he managed research projects for the Department of Defense, the National Security Council, Council on International Economic Policy, and others, and was the director of a business consulting subsidiary. 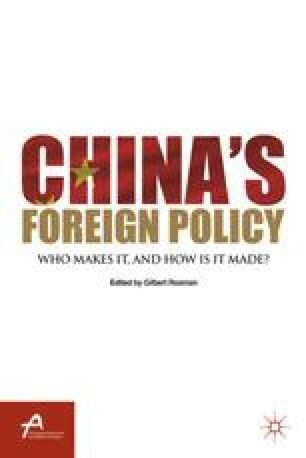 He is the author of Asia, America and the Transformation of Geopolitics (Cambridge University Press, 2008) and The Rise of China: How Economic Reform Is Creating a New Superpower (W. W. Norton,1993). He received his B.A. from Harvard University and M.Phil. and Ph.D. from Yale University.